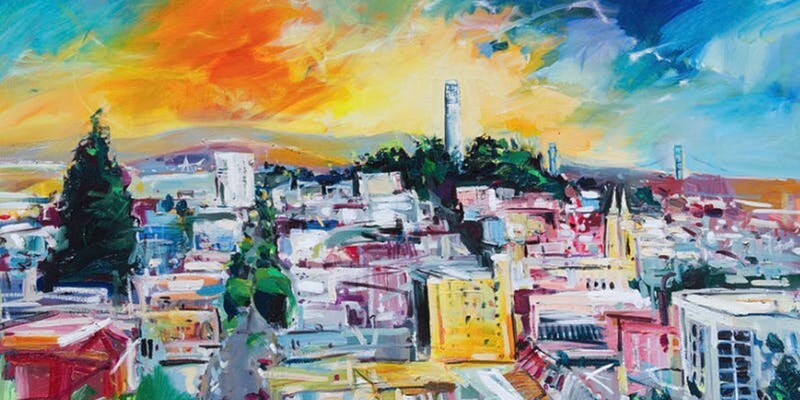 Davis will discuss how to look at a city scene and break it down into its simplest painted form and share acrylic techniques in creating movement. All skill levels welcome. Work from supplied photos or your own.